I walked through the front door a little after midnight. Jana sat on the couch in the darkness covered by the quilt from our bed, the images from the television flickered on her solemn face. “Oh, you’re up,” I said and gave her a kiss on the cheek. “Good… good.” That’s all I needed to know; I could go on to bed because anything else could wait until morning. “Well, goodnight.” I turned and walked down the hallway. But I didn’t get very far. As I stormed back into the room, fear flushed my face. “You did what?” I stood over her. “Why would you do that?” When I realized my hands had a death-grip on my hair, I tried to relax but still couldn’t control my fidget. I had nothing to say, nothing to offer. “I thought so too… at the time. But still, I asked you where I could find this luck guy. Even though I didn’t believe you, never believed a word of it, I went there. And after I found the guy, I still didn’t believe he was who you thought he was. But for your peace of mind, I made my own deal…” I had to think hard. As time had passed the details had faded. I knew it was only a matter of time before I would completely forget… just like Jana had. “What kind of deal?” she asked with impatient sarcasm. “I remember asking if you could just give back the money you had won in the lottery. But that had already happened. He said something like he couldn’t erase time. I had to make a new arrangement so that I could keep my son. He called it weak luck, but it’s worse than that, it’s no luck at all.” I shrugged my shoulders because I knew that even if I would have known the outcome I still would have done whatever I had to do to protect Ethan. “What do you mean?” Her words trembled. I closed my eyes trying to think again, trying to recall. But his name had left my memory months before. “I can’t. I don’t know,” I said without opening my eyes. The soft breeze told me she had left the room. 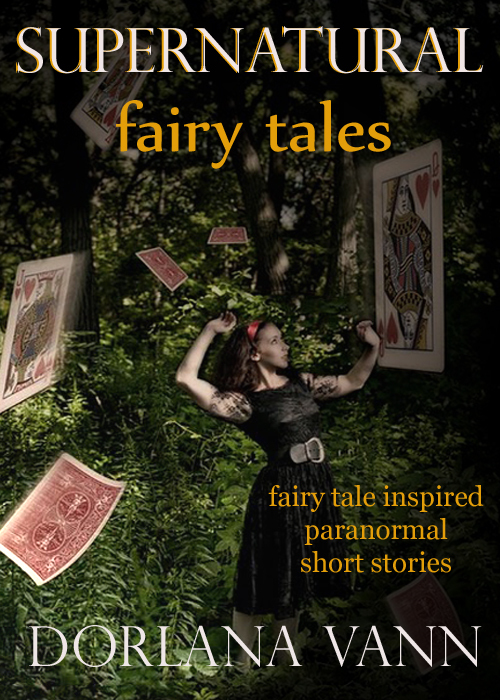 If it Weren’t for Bad Luck is one of the short stories included in my fairy tale inspired collection: Supernatural Fairy Tales – Ebook available for .99 cents at Amazon.